The Beer by the Pier branding won an Applied Arts Design Community Award. 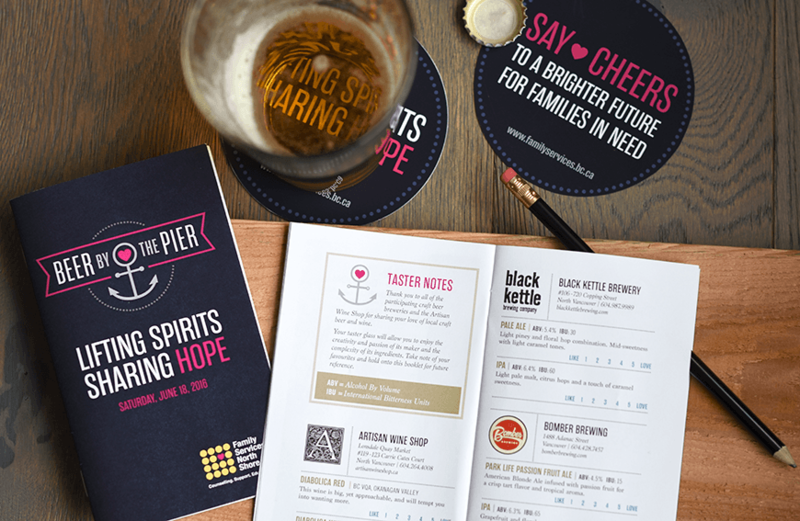 Working with White Crow Communications and writer Cheri Hanson, we recently helped the Family Services of the North Shore brand their successful new fundraiser, Beer by the Pier. This annual event features beer tasting by local breweries, food prepared by local chefs, live bands and a large silent auction. This fun evening always sells-out and helps to raise critical funds that support families in need with counselling, programs and support services. The pink heart was an existing element of the Family Services of the North Shore logo, so it was an important extension of their brand and other fundraising initiatives. The anchor symbolizes the organization as an anchor of the community, while representing the location by the harbour. A few years ago, Family Services of the North Shore hosted an important fundraising event with donors from the community. 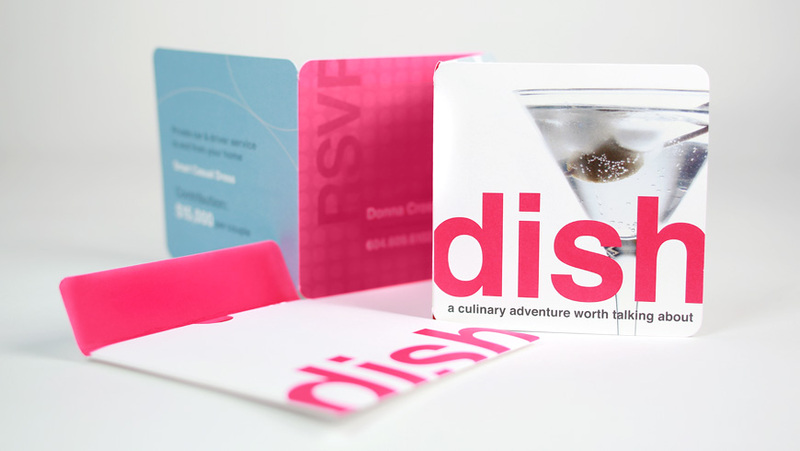 Working with White Crow Communications and writer Shannon Melnyk, we developed a fun identity that played on the theme of the event – the act of “dishing” gossip while attending a superb culinary and musical evening. Only a limited run of the invitations were printed and sent out. Each invitation was die-cut with a special fold and mailed with a custom envelope. 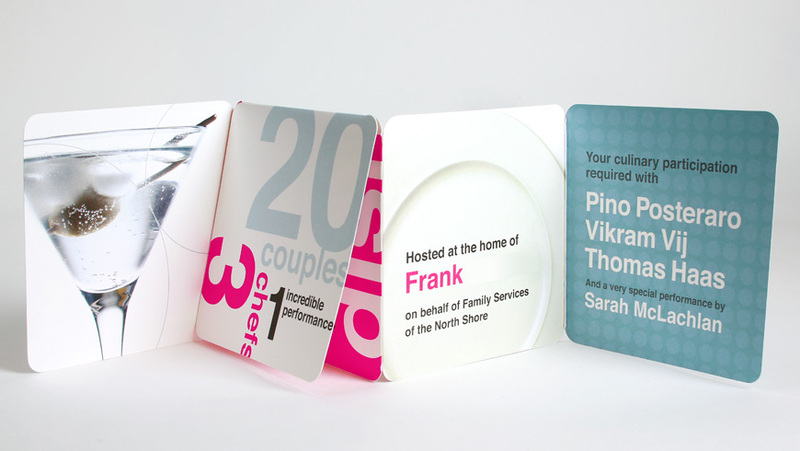 The invitations were printed by local North Shore printers Contact Printing.